This is the season. The season to be scary, the season to be spooky, the season to be silly and the season to be aware of the worlds of magic. Today is Halloween and in the Pagan traditions, Samhain. My tradition, RavenMyst, celebrates Samhain on the cross-quarter day — the exact middle day between the Fall Equinox and the WInter Solstice. It is a time of divination, magic, and the Ancestors. I’m going to save my reflections on those things for next week, though, as Christopher Penszak, Orion Foxwood, and others remind us, “Ancestors, not just for Samhain!” Samhain is a wonderful holiday, one of my favorites; and it is both secular and spiritual. It is the third of the harvest festivals in the Wheel of the Year. The first, Lammas on August 1st, celebrates the first fruits of the harvest and the abundance of grain and wine. The second, Mabon, brings us to a time of thanks and gratitude for the gifts of nature and our hard work. The third, Samhain, is the final harvest. We have taken all that we can from our fields and lands. The rest we leave to rot and mingle with the earth as fertilizer. What is left, has no use and cannot serve us. My High Priestess told me once that in some folk traditions, anything left in the fields on Halloween night are picked over by goblins. After that, it’s bad luck to take, eat, or store anything handled by the goblins. What is picked over by the goblins should stay with the goblins. That story has given me a vivid image to carry forward in my meditations and magic. Goblins figure wildly in our imaginations as horrible, ugly creatures that do nothing good and always have ill intentions towards humans and other beings of flesh and blood. They figure in our nightmares, our lore, and our scary stories. 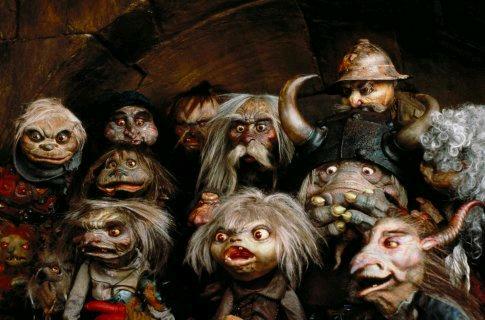 Much has been written about goblins but no one has been able to reframe goblins into anything other than meanness, greed, stupidity, and anything else that we associate with ugliness and fear. I have often said to myself and to others that there are certain lessons we seem not to learn. The lessons present themselves over and over in different iterations, different permutations, and way but at the root it is the same problem. These I call our “life lessons.” It will be something we were put in this lifetime to learn about and we mark progress all the time but, perhaps, we never leave it behind. It could be food, weight, money, anger, addiction, pain, sorrow, drama or any number of things. Over time, you are different and you grow, but somehow this issue presents itself over and over. “I thought I had dealt with my __________ ,” I have said and have heard others say. Yes, you have and you’ve done well, but there is more to learn. I do hate that but it is still true. For the past few weeks, I’ve been struggling with my weight again and been discouraged because I’ve made such progress since last March. But I’ve backslid and gained a few of the hard-won pounds I lost. I seem not to be able to resist food especially sweets. It occurred to me that I need to heal my relationship to food. Too often I use it when I am worried, bored, angry with myself, or some other issue. I’m not sure how to heal it but I’ve already started. One of the healing witches in my coven keeps a candle burning for the coven members to use and I’ve been accessing that energy. The other thing I’m going to do tonight is leave it for the goblins. Goblins take this bit of food. Take it, take it, take it. As Dorothy Morrison has said many times, the Gods like to be amused so little bits of poetry, and little charms will amuse them and move them to assist us in our magic. It amuses me too. She also says that when we do magic, we must also do the things that reinforce the charm. So on I go to heal my relationship with food. And finally on this wonderful Halloween Day, I want to leave you with a poem from my childhood. We lived in Indianapolis, Indiana when I was a small child. I spent my kindergarten days there and our teacher read a poem by James Whitcomb Riley, the poet laureate of Indiana. My paternal grandfather was a Hoosier and was very excited about the things we learned about his home state. This poem, Little Orphant Annie, has stuck with me these many years and I try to read it every Halloween. So enjoy and may you avoid the goblins of your life! Out of all the coins, I have always loved dimes. 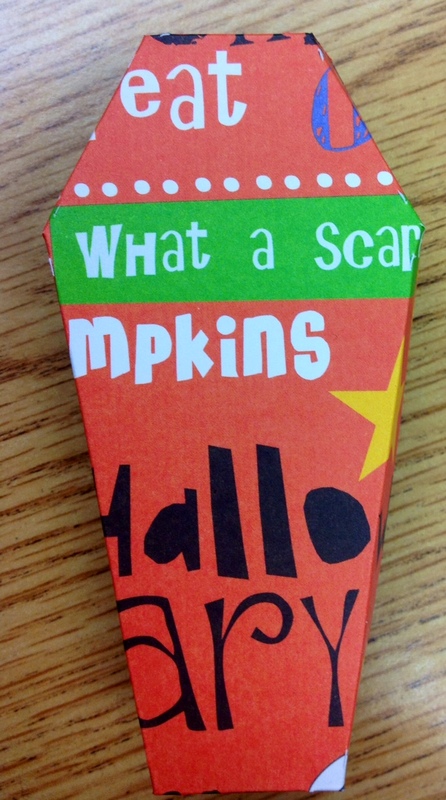 They are small and they jingle daintily in your pocket or purse. A small amont of them can really add up in no time and they don’t take up much room as they accumulate. When I was in the first grade, our teacher read us a book called Follow My Leader: The story of a blind boy and his guide dog by James B. Garfield, and that book has had a lasting effect for a variety of reasons. In this case, his teachers show him how to distinguish dimes from other coins–by sized and by the ridged edge. I think the ridges make the coin very interesting. 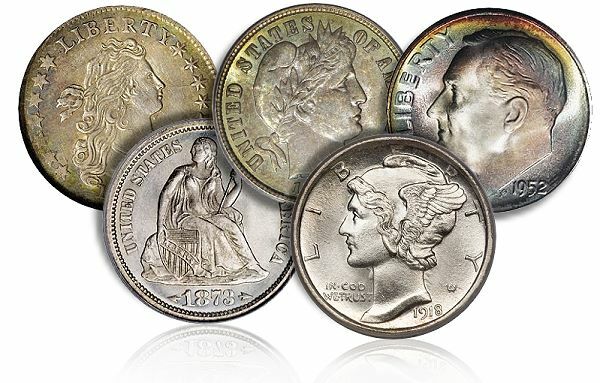 I also like dimes because they used to have Mercury on the face and the reverse was very mythological. While that has changed, I feel like that magical spirit in today’s coin. I also like dimes because they used to be silver and are still silver colored evoking the moon. And of course, I like them because they are shiny. The very first spell I ever did was a money spell that involved dimes. It was from a Scott Cunningham book and I have been unable to locate it since. The spell involved taking seven dimes and a candle (I love fire) and burning the candle over seven days and saying a chant. I can still picture doing it and the tools I used, clear as day. It worked too. I got the first promotion that put my career on a track of accomplishment rather than struggling to succeed. I didn’t get big bucks that time but I have managed to be have a long and successful career since then. Whenever I write a money or prosperity spell, there is always a dime involved! About twenty years ago, I participated in some of the Sisterhood dances from AmyLee, a controversial native teacher, who shared a couple of prosperity methods. I still consider them what my tradition calls “oathbound, ” so I won’t share them, but I will share my adaptation of what I learned. After participating in the dance, I began saving dimes. Even now, I don’t spend them unless I need to. I put them in a container. When I feel like the time is right and I need something, I count them out. I donate some of the money and then spend the rest on what I want or need. It has a way of adding up. A few years ago, I was talking to a friend about money and I told her “dimes are magic money,” and described my first spell as well as my collection of dimes, which is at the very least an intentional action and probably also a spell since I chant “dimes are magic money” as I clean out my wallet! She began doing the same thing. Recently, a sister in my circle said she did a dime spell with a wonderful variation. She really needed some fast cash to cover an expense not covered by their medical insurance. She empowered a handful of dimes and then sprinkled them along the path for someone else to pick up and use. Generosity, faith, and hope in one small gesture. In quick succession, three things happened that brought her family some unexpected money. Dimes are magic money!